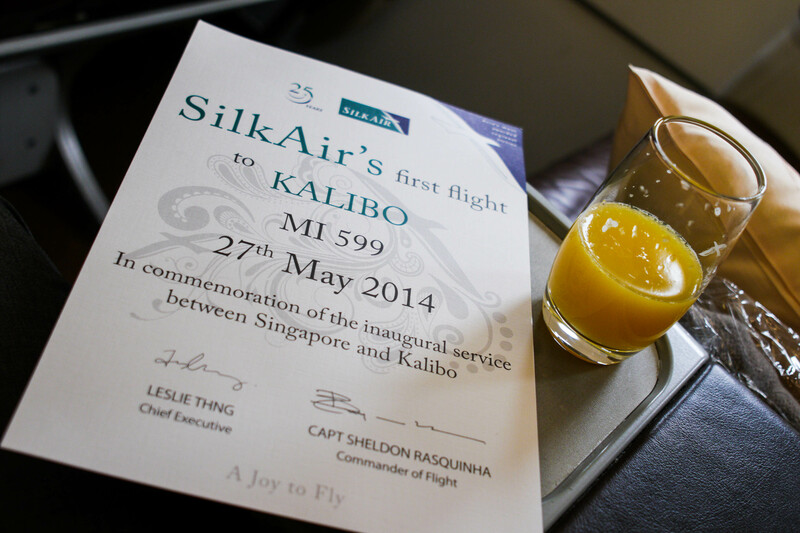 SilkAir launched their inaugural flight from Singapore to Kalibo on the 27th May 2014. This opens up another option of airline for holiday makers flying out of Singapore to Boracay. Boracay is named the world’s best island getaway 2012 by an international travel magazine; Travel & Leisure. Boracay beats the Galapagos Islands, Bali and islands in Hawaii. 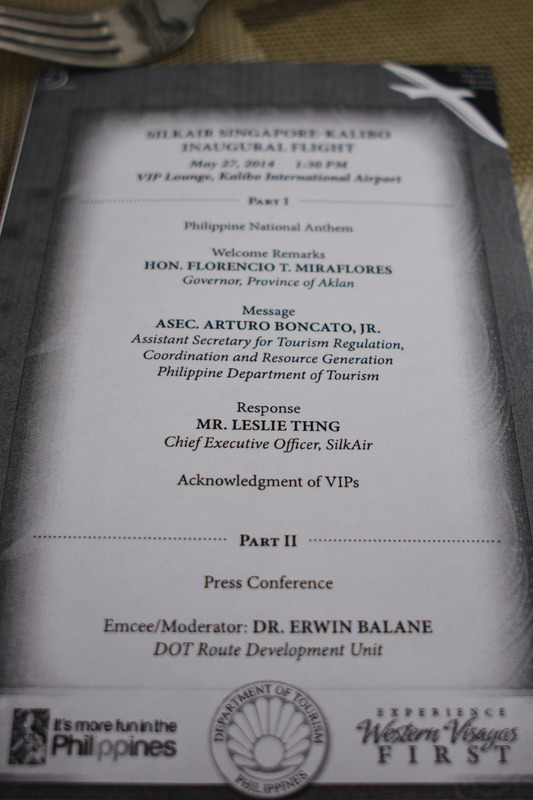 Previously, Tigerair was the sole airline that flies directly from Singapore to Kalibo. 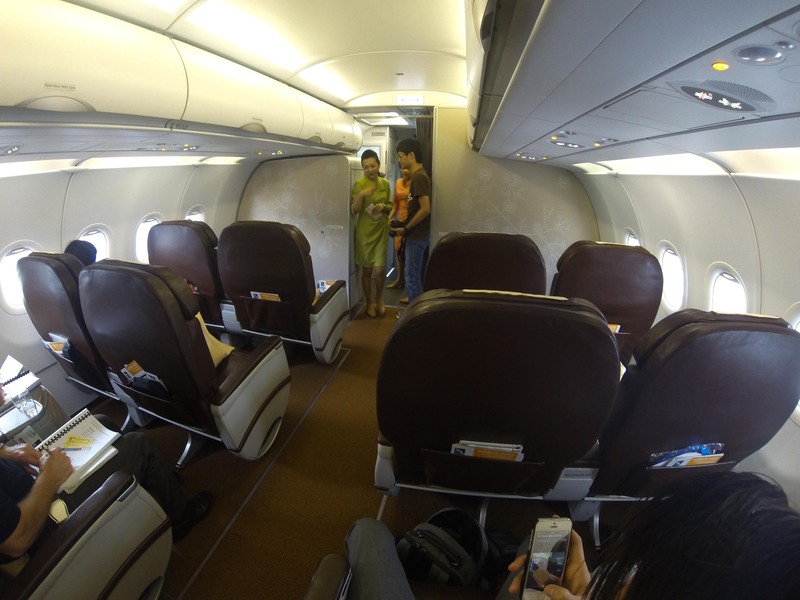 For travelers that wants more comfort for their 3 hours plus flight to Kalibo, SilkAir provides that upgraded option. This is an ideal option for family traveling with young children because they usually want more space and comfort. An economy round trip ticket costs around 300 plus SGD, business class at 1800 plus SGD. A search on Tigerair on the same route comes up to around 300 plus SGD too, which looks very competitive for both airlines. But we all know Tigerair has frequent promotions, the best price that I have seen is around 150-200 SGD. 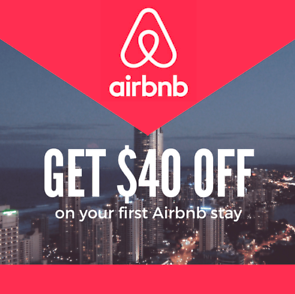 Prices are as mentioned at time of writing. 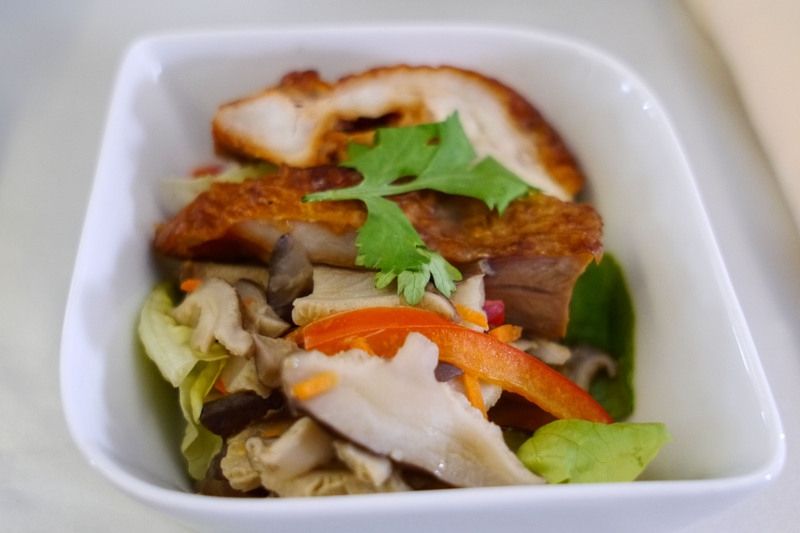 SilkAir is a full service premium carrier and that means the price you pay includes checked bags and meals. You are paying a little more for checked bags and meals. I think this is a very worthy option provided by SilkAir for travelers flying out of Singapore because you are getting the full SilkAir experience. The timing for SilkAir’s SG-Kalibo flight is ideal, departing from Singapore at 10am from Changi International Airport and you will reach Boracay before evening for the stunning sunset. The business class features an 2-2 configuration on the A320 plane, a total of 12 seats. Each business class seat is spacious and comfy, though I will love it more if they provide power point for charging devices and the seats can be reclined lower. 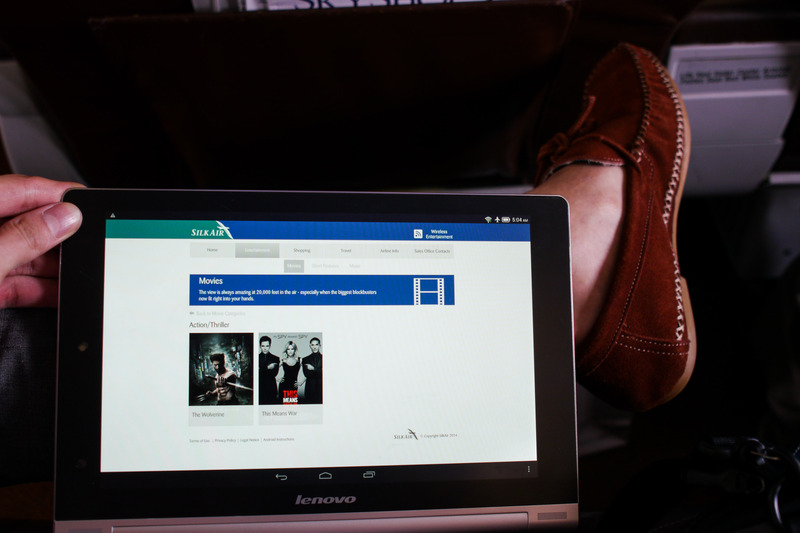 SilkAir is rolling out Lenovo tablets for business class passengers as part of their wireless inflight streaming entertainment. I got the chance to try it out! There are some travel articles, music and movies in the tablets, which I think is sufficient for the flight. 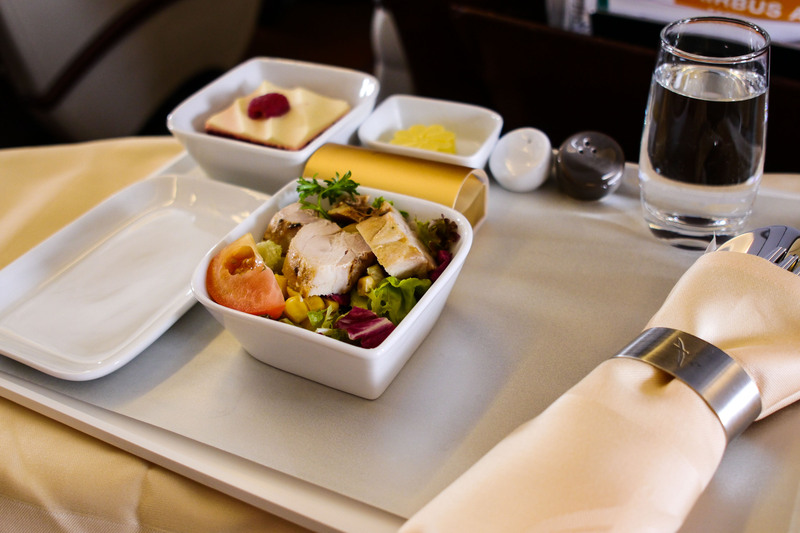 Economy class ticket comprises of 30 kg check in baggage allowance (40kg for business class), inflight meals, KrisFlyer Miles and seat selection. 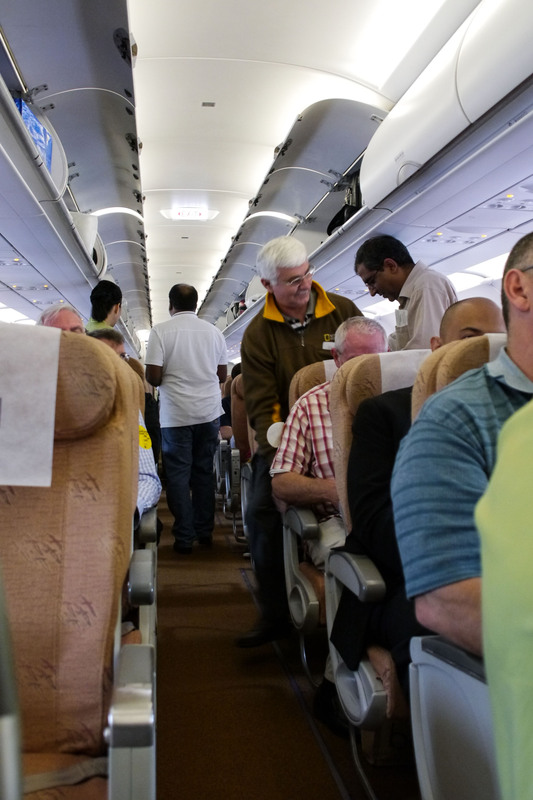 The seats are also more spacious than budget airlines. 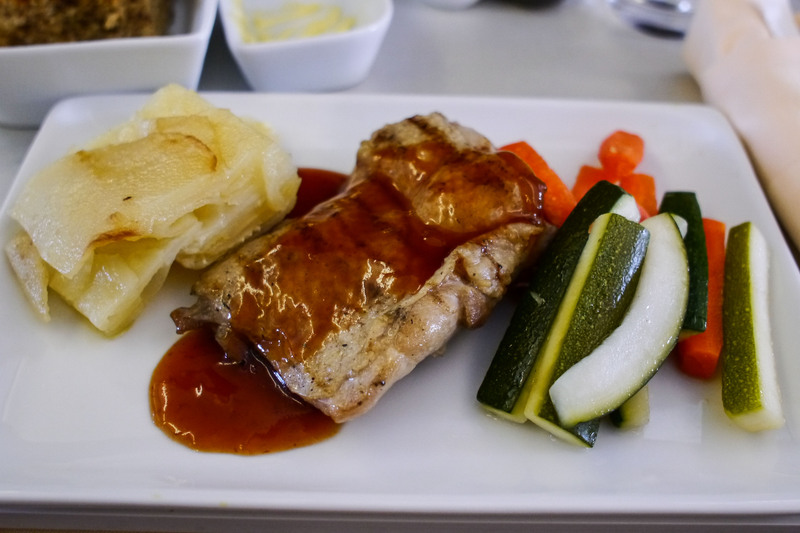 There’s snacks and meals provided on the flight. For snacks, there were choices of mixed nuts, pretzels and potato chips for business class passengers. 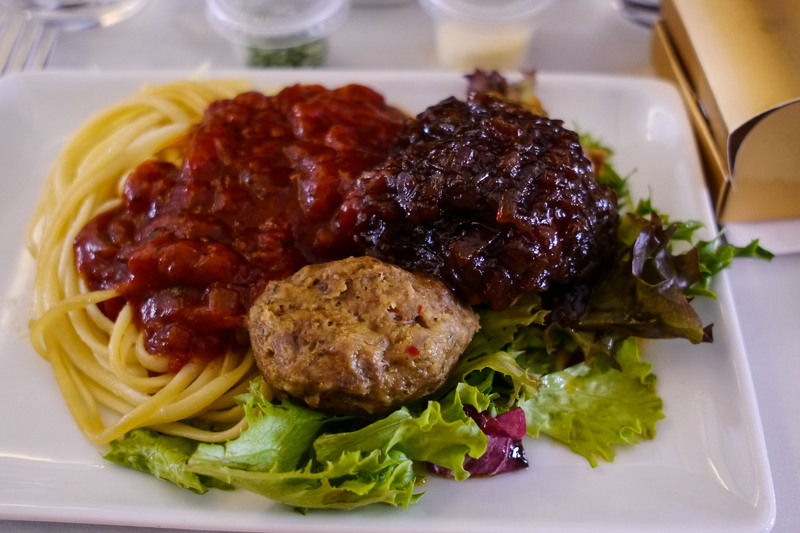 The meal consisted of an appetizer and a main dish, pretty delicious stuff. 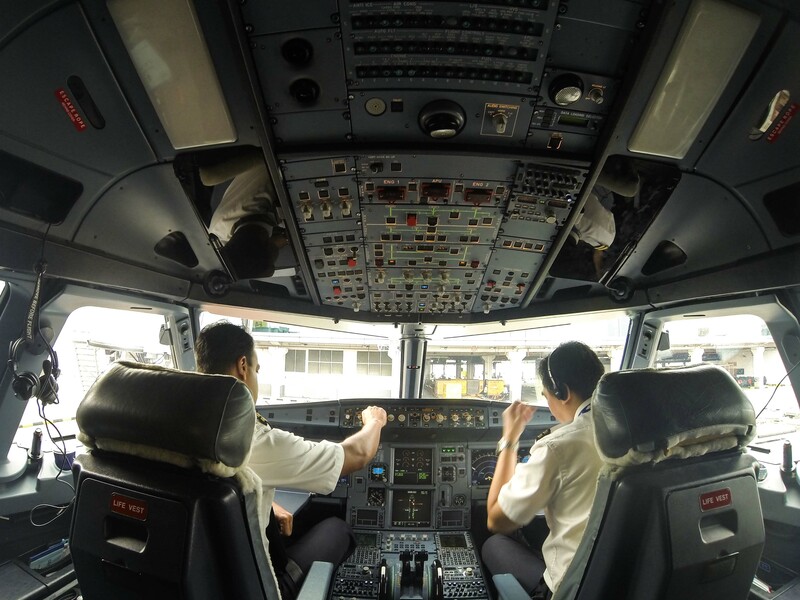 Overall, it was a positive experience flying with SilkAir, furthermore enhanced with their fantastic cabin crew that were attentive and friendly throughout the flight. Although SilkAir might not provide the cheapest ticket compared to budget airlines, but you certainly get enough comfort for the price you pay. Like I always say, it’s not about getting the lowest price, it’s about getting what you pay for and making sure it is worth it. As the regional wing of Singapore Airlines, SilkAir operates the Singapore Airlines Group’s narrowbody fleet and extends the Group network by seeding and developing new, exciting destinations in Asia-Pacific. 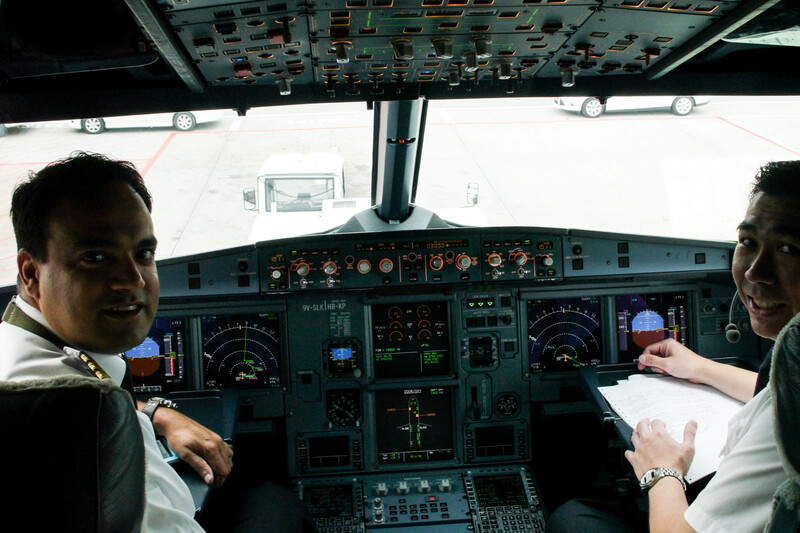 Today, the full service airline operates more than 300 weekly flights to 45 destinations in 12 countries. Visit SilkAir.com to check out promotions and fly with them on your next destination. Special thanks to Tripzilla Magazine for the invite, SilkAir and Philippines Department of Tourism for collaborating such a wonderful experience.